The 2017 law entrances are all done and now is time for the new batch to start preparing for 2018 law entrances. The most important aspect of preparation is knowing which books are the best especially for those who are planning to self study. The first book I would recommend consists of all past year CLAT papers and their solutions. This book is a compilation by Dr. D Mittal and VVK Subburaj. · For English vocabulary I suggest the book Word Power Made Easy by Norman Lewis. For verbal and non verbal reasoning I suggest R.S Agarwal. · For current affairs I recommend Competition Success's monthly editions. Since the syllabus for Maths is vast and you will need to cover everything you studied in Maths till grade X therefore I recommend Successmantra's study material instead of a book because it covers all topics from which questions may be asked and leaves out the rest of the topics. Therefore this is a way to smart study. Once again I recommend the study material of Successmantra instead of any book because this study material is more than sufficient, does not cover topics which will not be covered in the exam and the explanations given in the material are such that they can be easily understood by a student without there being a need for a mentor to teach the topics. The last book I recommend for CLAT is Universal's LLB guide. In every CLAT exam one is bound to get at least a few questions that are covered in this guide or questions that are similar. The next exam which we will talk about is the Symbiosis Entrance Test. This test covers five sections which are English, GK, Logical reasoning, Legal reasoning and Analytical reasoning. For Analytical reasoning also I think you could read the Maths module by Successmantra which I also recommended for CLAT preparation. But if you have ample time then alongside the module you could refer to the Maths NCERT books. For the logical reasoning section of SET law I recommend the book called Data Interpretation and Logical Reasoning by Arun Sharma. For legal reasoning I would again recommend the same module by Successmantra which I suggested for CLAT preparation. 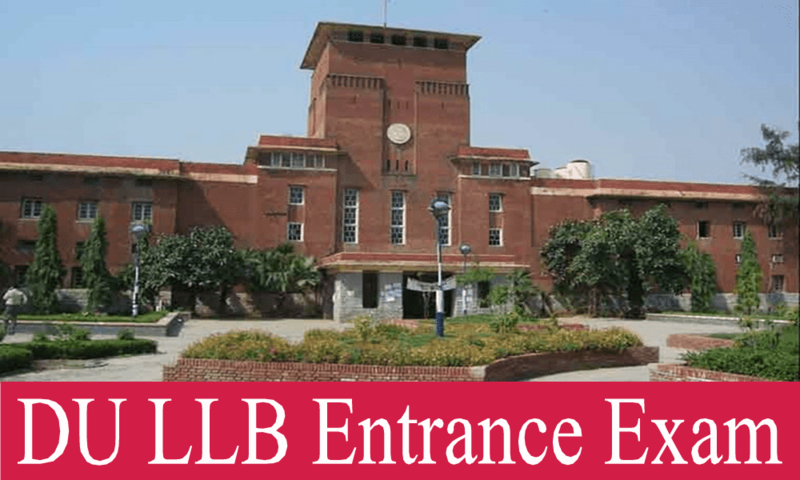 One needs the past year papers for all other exams as well and therefore even in case of DU LLB I would recommend that you get hold of Delhi University Law Faculty LLB entrance test solved papers 2008-2013. Moving further I would first of all suggest the Universal's guide to CLAT and LLB entrance exam by Manish Arora. Finally I would suggest the SS guide for LLB entrance exam. First read the two books and then on the basis of that try and solve the past year papers. This strategy should work for you because it is quite a foolproof way to prepare. The next law entrance is the Maharashtra Common Entrance Test for law. The admission to prestigious colleges of the like of Government Law College, Mumbai and Indian Law Society Law College, Pune are given on the basis of this entrance. The subjects for this exam are the same as the subjects for all other law entrances which are English, General Knowledge, Logical reasoning, Legal reasoning and Maths. For English one could go for General English for all competitive exams by SC Gupta. Also, invest in Objective English for competitive exams by Hari Mohan Prasad. The best part about this book by Hari Mohan Prasad is that it has three sections which cover not only the syllabus but also test papers and the third section which has past year papers of various exams. For GK I recommend the Manorama Year Book and Current affairs yearly by Arihant experts. For logical reasoning I recommend the book called A modern approach to logical reasoning by RS Agarwal. Last of all comes legal reasoning for which I recommend AP Bhardwaj's book Legal aptitude for CLAT and other law entrance examinations : A workbook. LSAT exam is for admission into many Indian law schools. Some noteworthy colleges in this list are IIT Kharagpur Law School and Rajiv Gandhi school of Intellectual property law. First of all I suggest you get hold of some sample papers. A lot of sample papers are available online and on the basis of those you will get a fair idea about what you can expect in the paper. The exam pattern is different from all other law entrance exams and there are four sections out of which two sections deal with logical reasoning and one each with English comprehension and analytical ability. Let us first talk about the books you should refer to for the two logical reasoning sections. The book called Universal's Logical reasoning for CLAT, LSAT and other law entrance exams should suffice. For analytical reasoning I suggest Examkrackers LSAT analytical reasoning but if that is not available then one can go for Analytical reasoning by MK Pandey. Next book I would recommend is called Kaplan LSAT premier and this book comes with 6 real practice tests which is very important because a lot of questions in LSAT are repeated from previous years. This covers the list of books you will need for all these five law entrance exams.